Black phosphate coating for increased corrosion resistance. Phillips drive, bugle head and sharp point allows fast penetration through studding or batons without surface damage to board. 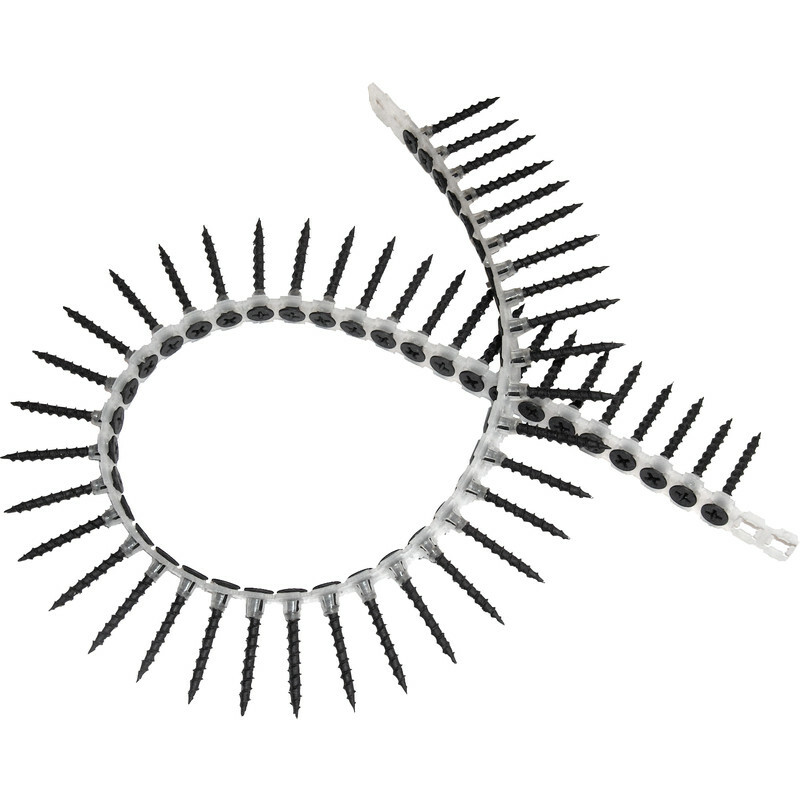 Collated Drywall Phillips Screw 3.9 x 50mm (1000 Pack) is rated 4.1 out of 5 by 13. Rated 3 out of 5 by Marchris from A little quick due to step pitched thread. I feel these are a little to quick to pull in accurately as the thread is so course and steep that they sometimes whizz in so quickly they move slightly and therefore the gun bit breaks out due to a slightly off angle, I have never had this with slightly finer threaded collated screws. Good for rough hoarding work though. Rated 5 out of 5 by Steve the shed from Great value. Having searched around for collated drywall screws, these were the best value by far. They are good quality and work well with my DeWalt screwdriver and at at least half the price of other sellers, are great vfm. I don't buy screws to keep, I leave them on the job. Why pay more?